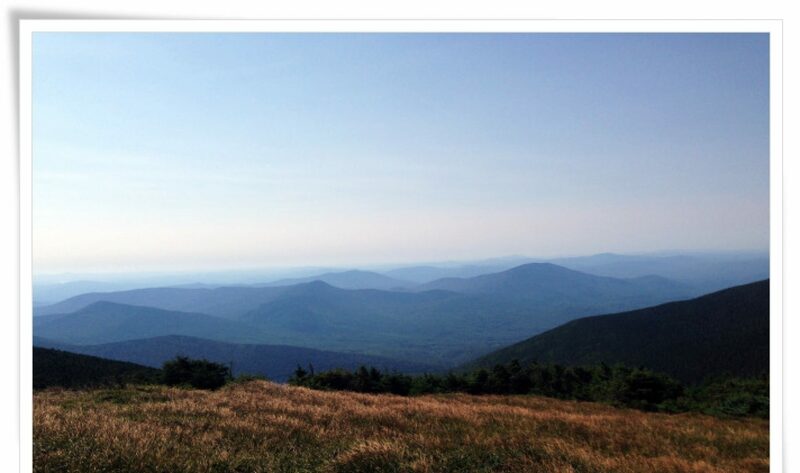 When my hopes of finishing my thru-hike of the Appalachian Trail ended in Andover, Maine in the Fall of 2016, I was broken–physically, mentally and emotionally. The fuel gauge of my soul was on empty. I was absolutely and totally, 3-D exhausted. Fresh off my hike, when enthusiastic future thru-hikers asked me questions, I couldn’t muster any encouragement or excitement for them. I was thoroughly anti-thru-hike at that point. I thought it was too much. I gingerly suggested that I thought section hiking the trail in pieces would be the smarter thing to do, and I meant it. From the time I got off the trail, I suffered from fatigue, body pain and very bad headaches. I spent many days in bed. It was a whole year before I regained my health. Though I was never tested, I did an herbal treatment for Lyme Disease and gradually started to get better. I made tentative plans to hike a trail in the Adirondacks of New York with a friend who had invited me to join her and a group of ladies. It was my plan to then finish the Appalachian Trail where I got off in Andover, Maine, and hike to the Northern Terminus of the trail, Mt. Katahdin. Somehow, it didn’t seem like ‘enough’. To finish the 256.9 miles seemed pointless to me. I also couldn’t imagine going into Maine ‘cold’, without ‘trail legs’. There is nothing that prepares you for hiking that area like hiking for 5 1/2 months. There is, of course, also a certain confidence that you have built up by the time you reach Maine. You can’t just grab that out of a bag, hop on the trail, and put it on. One day around that time, as I was washing dishes (where I do my best thinking) I told Bud that I didn’t want to go back to ‘just’ finish the trail. One day…ONE DAY…I wanted to go back and make another attempt at hiking the whole trail, from beginning to end. I need to finish this thing for ME. It doesn’t matter what anyone else thinks about it. Also, there is this THING that is pulling me…drawing me. The siren song of the Appalachian Trail is calling me. Only those who have heard it, understand it. Once you hike the Appalachian Trail, you never really leave. It becomes a part of you. Though I know this sounds strange, I have had ‘flash-backs’ of the Appalachian Trail since I came home. I will be busy doing unrelated things, and a flash of a picture pops into mind and it is a place on the trail that I hiked. It’s often unremarkable. It’s not even a place where I stopped to eat or rest. I wasn’t even thinking about hiking or the Appalachian Trail and then *flash* …a picture, a memory, a feeling. One day recently, I was washing dishes (again) and Bud says, “Are you going to hike the trail this year?” Talk about a random, out-of-the-blue question! Never in a million years did I expect that from him. I hadn’t even considered thru-hiking this year, nor did I expect that Bud would be on board for me to do it again so soon. As an Introvert (INFP, to be exact) I needed to think about things first and get use to the idea of it. I wasn’t sure I could get in shape, get my food dehydrated, etc. with a mere three months preparation time. Slowly I have gained peace and assurance. Too many things have lined up for me not to think it is ‘meant to be’. I think I can do it. I have started training and dehydrating food. I am planning on starting at Springer Mountain sometime in March. I want to do it ‘better’ this time and to enjoy it more fully. I’m grateful to have a second chance. I know some people never have the opportunity to hike the A.T. even once in their lifetime. I feel exceedingly blessed that I have this opportunity to make another attempt…a ‘do-over’. In the future, I will be posting more about what I plan to do differently this time and also how my preparations are going. If you followed my last blog and have come over from there, you will need to subscribe or follow this new blog or you won’t get notifications when I make a post. To subscribe, click on the ellipses (…) to the right of the menu at the top and you will find the ‘Follow’ button. You know we want to help with getting you to the trail, etc! So very excited for you, I can hardly wait to read your blog, it allows those of us who read it to be there with you.. I have flashbacks too, I thought I was the only one! We are planning on doing trail magic this spring, maybe we can work it out to be when you are hiking in Georgia. Oh, Kara, I’m so excited for you. I think I already said that, but I really am. I’m in awe of you too. First off–I would LOVE to see you! …but I’m concerned about your physical well-being. I’m not sure whether I’m flying or taking the bus. I now know it’s a long, stressful drive to the airport for you. I so appreciated your picking me up for my last hike, but I certainly wasn’t expecting it this time. I would feel sort of guilty letting you pick me up again…but I want to see you!!! I’ll email and we can discuss it further. Thanks, too, for weighing in on the flashbacks. Freaky, huh? It makes me feel so much better knowing that I am not the only one who has had these weird flashbacks. It was sort of freaking me out! You and Scott are so kind to do trail magic…but I already knew you were kind. I know you know first-hand what it is like…how humbling it is to be on the trail and to accept the generosity of strangers. I hope it works out that I can maybe see you doing Trail Magic, too. I’m glad you are looking forward to following me! I think you’re pretty awesome, too. I’m in awe of you. That is one hell of a journey to begin again when you know what is waiting for you. I have faith in you and will be praying for you along the way. You’ll have my support throughout this journey. No…I am in awe of YOU, friend. You hiked the entire trail! I so appreciate your prayers and I also appreciate your advice you have freely given when I have emailed. Thank you for following me. I’ll continue to look for your tips and advice because I certainly want to finish this thing this time! HYOH! (Hike Your Own Hike) It’s all good. At once, or in pieces, the A.T. is a place that holds your heart and never lets go. Way to go! When you do things for “You” there is success!